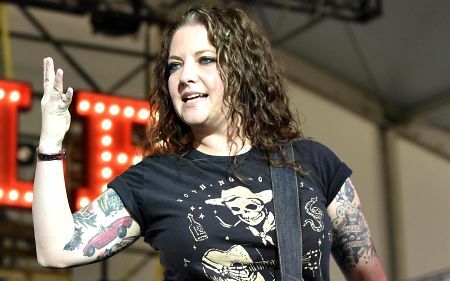 Arkansas traveller Ashley McBryde headlines Nu Country TV on Saturday March 23 at 9.30 pm on Channel 31/Digital 44 after performing at St Kilda Palais with nouveau North Carolina outlaw Luke Combs on March 13. Fellow Arkansas singer-songwriter Erin Enderlin also appears live in Behind Bars on the show repeated Monday 7.30 am and Thursday 12 am. Singing stockman and farrier-farmer Tony Cook returns with a video filmed in flood and drought stricken far north Queensland . Texan western swing band Asleep At The Wheel and Californian singer-songwriter Brett Young boomerang to the show filmed and edited by Laith Graham. Shipwreck Coast duo Little Georgia appear with a video filmed near Portland . Ashley McBryde returns live in Behind Bars at Grand Ole Opry in Nashville with the title track of her fifth album Girl Going Nowhere. She wrote Girl Going Nowhere the day after Texan mentor Guy died at 74 on May 17, 2016. Ashley graduated from dive bars to CMC Rocks Queensland in Ipswich and major festivals and venues. McBryde, 35, is one of eight children of a farmer and preacher in Mammoth Spring , Arkansas. Ashley rides in the slipstream of Ray Wylie Hubbard, David Allan Coe and late Texans Townes Van Zandt and Guy Clark. She recruited her three young god-sons in previous video American Scandal, honoured her dad in Radio Land and debuted Behind Bars in aptly titled A Little Dive Bar In Dahlonega. Ashley wrote it with Nicolette Hayford and Jesse Rice about a Georgian honky-tonk in a town of 5,200 people. She released her debut EP in 2006 before four indie albums led to her latest produced by Jay Joyce. “This CD is a collection of loose ends and lullabies,” Ashley explained. 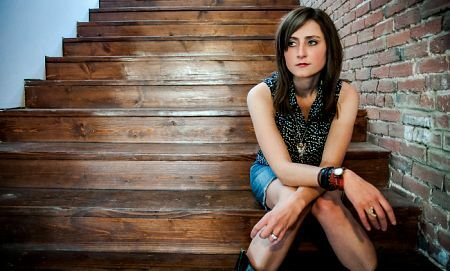 Fellow Arkansas native Erin Enderlin joins Ashley in Behind Bars with Ain't It Just Like a Cowboy. The song exposes the painful reality of falling for a two-timing cheating rodeo star who suffers summary justice when he is shot by his victim. It's on the 36-year-old's singer's second album Whiskeytown Crier. She previously performed a live version of it on Nu Country at the Nashville Hard Rock Cafe with rising artist Kimberly Kelly. Enderlin is renowned for her song World Without Willie with Tara Thompson. Erin toured with Willie Nelson on his Country Throwdown tour and fellow outlaw Jamey Johnson who produced Whiskeytown Crier . 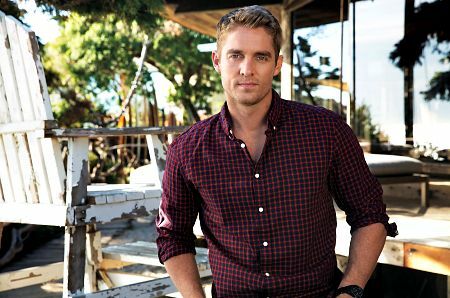 Californian singer-songwriter Brett Young soaked up surf, sand, sun and lightning on a secluded beach in his latest video where rain storms enabled his characters to seek shelter in a car. It was a vast contrast to when pastor dad Brad conducted his wedding last year to wife Taylor. Here Tonight is one of many songs inspired by Taylor. It's on his fifth album Ticket 2 LA . Brett, who turns 38 on Saturday, also appeared on Nu Country with In Case You Didn't Know - one of 11 originals on his self-titled 2017 album. Young was born in Anaheim in Orange County near Disneyland and joined on famed Malibu beach with Miss USA 2015 - Olivia Jordan - in his video for debut #1 hit Sleep With You . Brett was a pitcher on his high school baseball team and went to Ole Miss on a baseball scholarship in 1999 after turning down pre-draft selection by Tampa Devil Rays and Minnesota Twins but quit baseball after an elbow injury at Fresno in 2003. He started singing in the late 1990s when he replaced an absent leader of a band during a Christian worship meeting at high school. Young released indie self-titled 4-song EP in 2007, Make Believe in 2011 and On Fire and Broken Down in 2012-13. CLICK HERE for a Brett Young interview in The Diary on March 4. Julia Creek farrier, farmer and singing stockman Tony Cook returns to Nu Country with advice from an old ringer he met in north Queensland . Cook worked on cattle and sheep stations before he joined the Australian Defense Forces. He later returned to farming and singing and filmed Life's Lessons at the historic Prairie Hotel. Sadly, floods replaced drought for Cook and his farming neighbours last month. 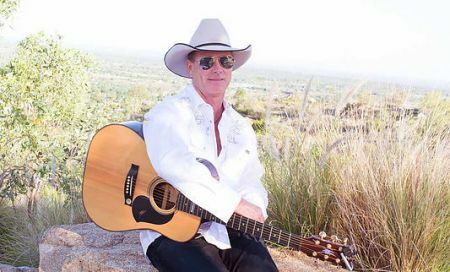 Videos for Life's Lessons and That's Country, filmed in Julia Creek , and debut album title track Laid Back Country followed indie EP Laidback Tones. Laid Back Country depicted life in the bush and the culture that influenced him as a child and young adult working on cattle and sheep stations before enlisting in the ADF. Cook's videos take viewers on a journey into the heart of the outback. Tony enlisted high profile roadies for previous video Laid Back Country . Laidback Country was released in mid-2017, seven years after Laidback Tones . Western swing king and TV host Ray Benson and his band Asleep At The Wheel return with a live version of Seven Nights To Rock from their 34th album New Routes . The wheel started rolling in 1970 in Paw-Paw , West Virginia , and have recorded several Bob Wills tribute albums and live discs including one with Willie Nelson, now 85. They won nine Grammys after moving from San Francisco to Austin , Texas , more than 30 years ago in their 49-year career. Ray, 67, formed the Wheel with dual Grammy winning latter day Fremantle pedal steel guitarist Lucky Oceans and has released three solo albums. Lucky, also 67, won a 1978 Grammy for Best Country Instrumental for their remake of Count Basie's One O'clock Jump. In 1977 Oceans, born Reuben Gosfield, met Christine Haddow - a young Australian photographer on The Boston Globe. 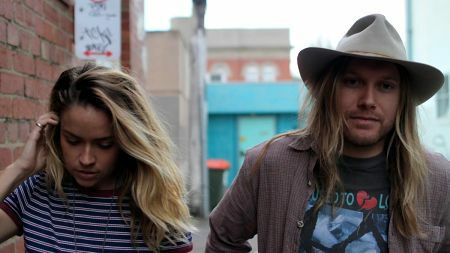 They wed in 1979 and moved to Fremantle where Oceans released solo albums Lucky Steels the Wheel in 1982 and Secret Steel in 2005 and discs with his Australian bands including Dude Ranch and the Zydecats . Lucky has also hosted ABC-TV-radio show The Planet . 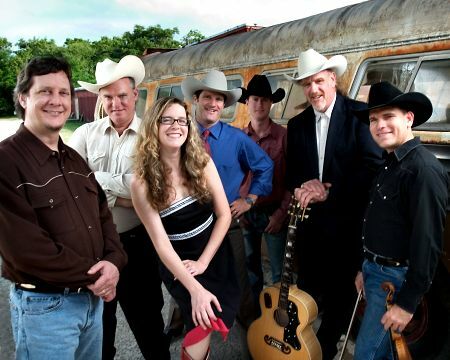 In 1993 he won a second Grammy with Asleep at the Wheel for their collaboration with Lyle Lovett on Blues for Dixie from 1993 album A Tribute to Bob Wills and the Texas Playboys . The band visited fellow Texan legend Willie Nelson's movie town Luck with its own chapel, saloon and Opry house in their previous video for Jack I'm Mellow - also on New Routes. Fiddler/vocalist Katie Shore went on a music mission with help from Willie's Reserve - his line of marijuana - to spread love in Luck. But hard luck struck Shore when she found the dispensary closed. Benson came to the rescue with Willie's herb superb and she won a poker game with a jack of hearts as they perform a humorous cinematic collage for Jack I'm Mellow . CLICK HERE for a Willie & The Wheel feature in the Diary on July 4, 2009. Shipwreck Coast reared duo Little Georgia returned to the beach for their latest video Yellow Cup from Nick Didia produced second CD All The While recorded in Byron Bay and released on November 2. Justin Carter and Ashleigh Mannix joined forces three years ago and recorded debut Bootleg CD at Justin's Portland farmhouse. They also released a video for Stoned from All The While. "Stoned was written in a moment of solitude at Justin's farm in South West Victoria,” the duo revealed. “The theme of the song is a choice of escape from the chaos and selfishness of the fast-paced world we are living in." "We spent 2 weeks recording with Nick at La Cueva Recording . The first week with our band Jimmy Straayer (Bass), Oscar Henfrey (Drums) and second week just with Nick. Everyday started with a chat and a laugh which led to jamming/ recording a song. The studio's open plan and setting in hills of Byron Bay made for a chilled and relaxing environment to create an album we are proud of. The songs on this album were all written at different times in different places, separately and together. They're a reflection of our experiences, our beliefs and the current state of the world."